When I first saw the teaser poster for Joseph Kosinski’s second feature film Oblivion, I immediately knew I would design custom covers for its soundtrack. There are certain colour palettes and temperatures, that draw my attention every time, I can’t help it. The score was composed by M83’s Anthony Gonzalez and Joseph Trapanese and has a few standout tracks, e.g. “StarWaves”, which reminds me of John Murphy’s Sunshine. Or “Radiaton Zone”, which features a drum battle(!) between Loic Maurin and Ilan Rubin. Great Stuff! The custom covers fill the whole range from dead easy to damn difficult. My first entry (#1) for example was really tricky. Finding the right source material took forever! Every image I found either was overlaid with text or just a bit too small to crop out a square image. And it was important for me to have enough space in the lower third of the cover, because that’s where I wanted to put the title. I managed to create an appropriate base image by combining different source images and retouching the remaining text blocks out of it. It was one hell of a job, also because i wanted it as high-resolution as possible. Nevertheless I had to cheat a little… I compressed the background with the waterfall a bit in height to fit everything into the square template. So the Empire State Building is slightly more crooked than it should be. But everything in the foreground has the original image ratio. It’s basically a blending of two different images. I bet you wouldn’t have noticed if I didn’t said so. The second cover (#2) is almost the same scene, but here I luckily found a big enough source image, so i could crop out a nice clean square image. Although “nice” and “clean” is a little exaggerated, since I had to retouch a lot of text out of it again. My take on the original cover (#3) has a wider field of view, because I didn’t like how Tom Cruise’s character was off-center in the original. So I recreated it to my liking. As a side note, this might be the highest resolution cover I’ve uploaded so far. Custom cover #6 is based on the official IMAX poster, yet with altered colours and rearranged text elements. I love the devastated moon in the background, it was one of my favourite moments in the movie and I’m happy to finally have it captured within this series. Perhaps the most interesting addition is a concept for the movie’s accompanying single “Oblivion” by M83 featuring vocals by Norwegian singer-songwriter Susanne Sundfør (#7). I tried to approach it a bit more freely and break free of the main soundtrack’s design scheme. It’s based on an official wallpaper and I added the original film logo at the bottom to have at least one original design element in it. The following gallery is entirely based on material by Swedish graphics artist Andrée Wallin. I can’t put in words how astonishing his work is; and I only now discovered, that the he is the guy responsible for most of the source material above (#1, #2, #5, #7). There’s just something about his use of colours, shadows and camera angles that is deeply haunting. I could loose myself in his works for hours. And the fact, that he’s also working for Disney on Star Wars Episode VII gives me a thrill of anticipation. 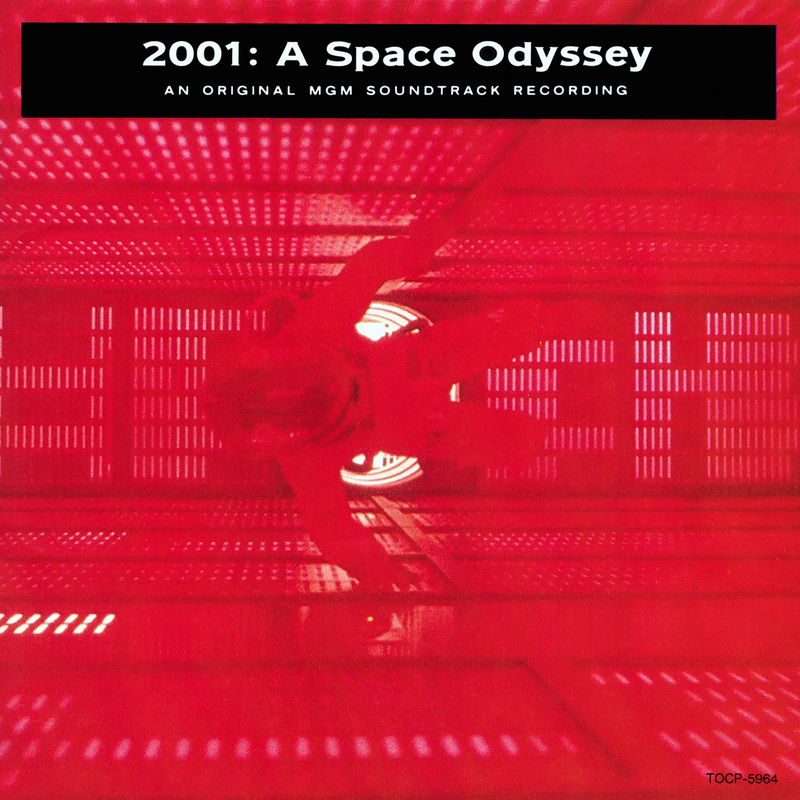 To diversify this entry a bit, I decided to pay homage to EMI Records’s soundtrack album 2001: A Space Odyssey (#13). When I was given the honor to create artwork for the Oblivion soundtrack, I wanted to convey the feeling of a world that was left behind; a place full of traces and remnants of a civilization long gone. An environment that truly makes the person exploring it feel small is a theme I often come back to in my artwork. For the front cover I wanted to describe this in a peaceful way. The warm colors of a sunset, or sunrise, adds an air of tranquility, providing the image a nice balance against the sharp, dark silhouettes in the foreground. Custom #4 and #7 are awesome. Custom #7 is closer to the tone of the film than the film’s own marketing campaign. Good job! Oops, I meant #4 is closer in tone! That’s interesting, #4 might be my least favourite out of them all. But I know other people who also prefer this one. That’s why I keep making several covers for every soundtrack, I’d like to offer a choice. And it obviously pays off. Thanks for visiting again! Always a pleasure to visit! I’ve been wondering about making a request / suggestion…. I’ve always disliked the cover for Alan Silvestri’s “Flight of the Navigator” soundtrack…. if you ever consider tackling that one I think you could come up with some excellent designs!